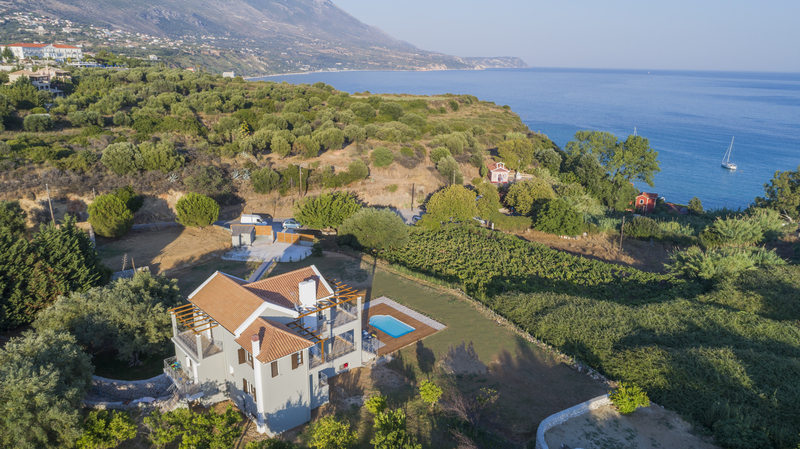 Situated above the bay of St.Thomas, this well appointed property comes highly recommended, boasting spectacular panoramic views of the neighbouring mountains, dramatic coastline and sea views that stretch out across the Ionian Sea. 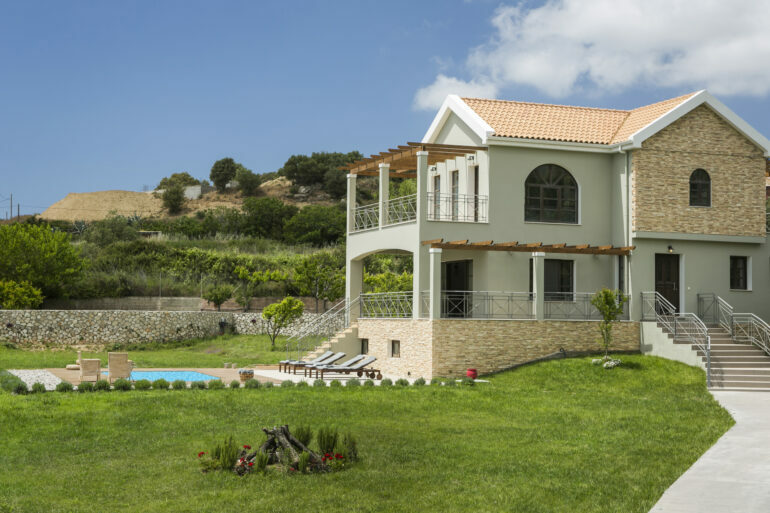 Set in spacious, well maintained grounds, FILON KTIMA offers a prime location with a high standard of furnishings throughout and offers an ideal holiday retreat. With splendid views overlooking the bay of St.Thomas, this well appointed brand new villa boasts spectacular views of the mountains, coastline and out to sea. The small sandy bay and its beachside tavern can be reached within a two minute walk, with more local tavernas and mini markets scattered around the neighbouring countryside , and the pretty village of Karavados is a 3 minutes drive. Outside guests can enjoy the privacy of the large courtyard among olive trees, orange and lemon trees, relax by the swimming pool with the sunbeds and enjoy the most fantastic views and sunsets under the shaded pergola with table and chairs. Two pool showers are also available in a deck area by the pool. A number of services are provided upon request.